A grid connect solar power system draws power from solar panels during the day, when the sun sets or on very dark or cloudy days when there is not enough sunlight to power the solar modules the system switches over to draw electricity from the local power grid which is usually driven by fossil fuels like coal or gas. 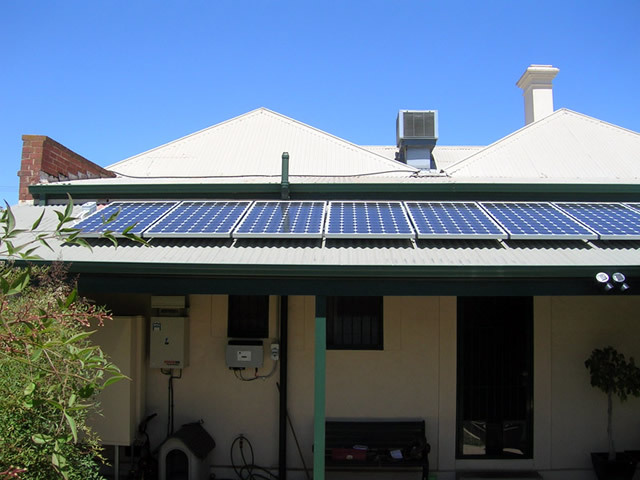 In Australia, the most common type of solar system is the grid-connect system, which can draw power from both the local power grid or the solar panels depending on the conditions. 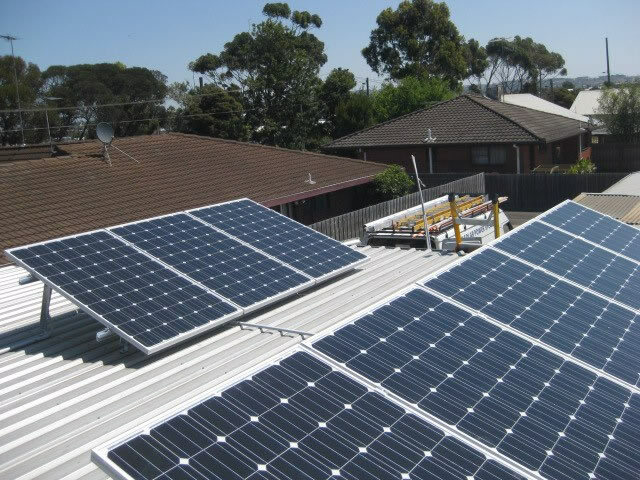 Recent developments in lithium-ion battery technology, however, have put the grid-connect system's lifespan on notice and its likely that home energy storage will be standard equipment within the next 10 to 20 years or maybe even sooner. 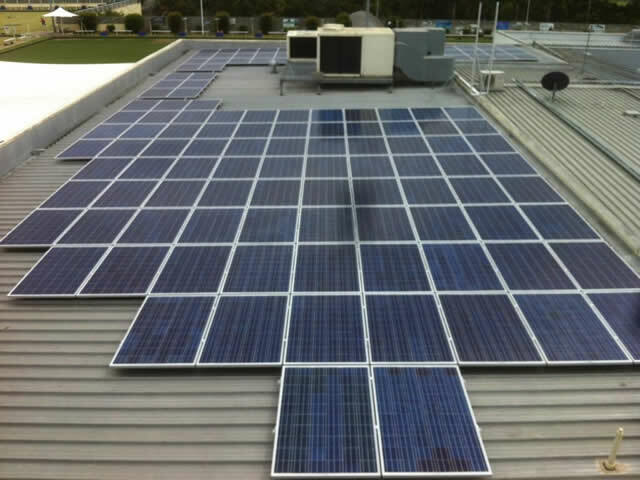 If the solar panels are producing more power than is being consumed this excess power may be fed back into the grid for use by other consumers, depending on the arrangement being offered by your power provider you may be paid a premium for the power you generate in the form of a feed-in tariff. This can also help to pay for the power you will need to use when the sun sets. 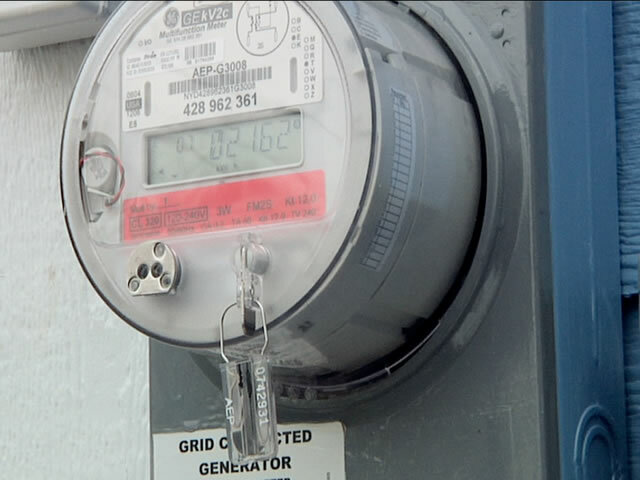 To measure precisely how much power a grid connect system is feeding into the grid a bi-directional power meter must be installed, this type of power meter is very similar to a standard meter with the ability to measure power being transferred in both directions. Grid connected solar power system. 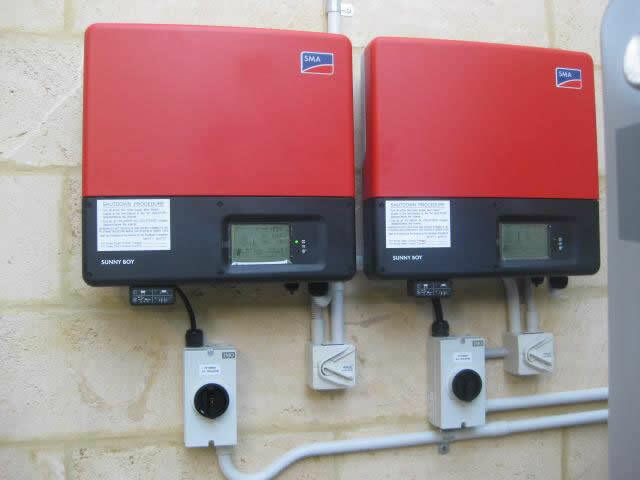 Solar inverter and power meter. Large grid connect solar power system. 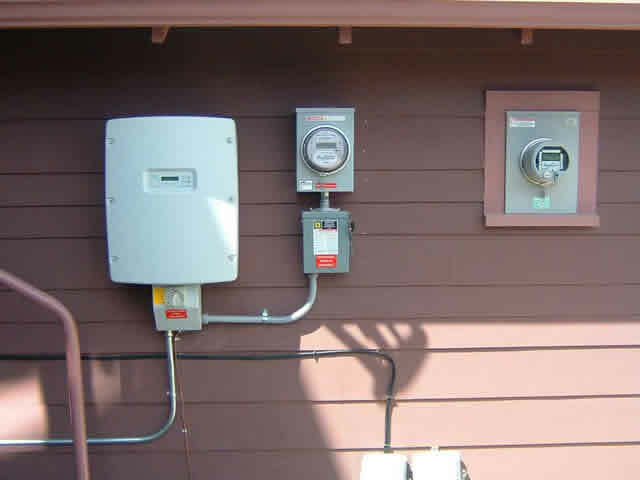 Grid connect solar power inverters.